Mr E: I want to tell you about the energies of 2018. First of all, the number 8 in particular, if you tilt it on its side, is an eternity symbol. NL: It’s a symbol that has no beginning and no end, similar to a circle. So, that’s the type of energy that is out there this coming year, commitment to yourself or to someone or something else in the year 2018. Mr E: Then you will be very committed to that idea. NL: And, because of that, it will become more solid? NL: So, why is the shape of the number eight more conducive to commitment? Mr E: It’s a closed loop and the energies are together. NL: You’re talking about the energies within the number eight? Mr E: Right, they intertwist amongst each other as the number eight, you know. It was a zero but then it twisted and became an eight, you see what I mean? NL: Right, and it’s not open like a number one or something so the energy is contained within the loop. Mr E: Yes, exactly and the energies will not separate, they flow into each other. That’s another feature of this year, energy will flow well this year in creating things that you want to create. NL: That is great, that is really good. So, how will people experience this energy in 2018? Mr E: Well, in 2018, they will be able to find opportunities to commit to something. Mr E: If it’s not a relationship, it’s your job or it’s your ideas, it’s your diet, it’s your health, or whatever you are working on. You will be able to commit to it easier. NL: And the commitment will be easier because things will fall into place easier? Mr E: Exactly, because it’s the year of commitment you will also be more focused on your goal. Now, the next time we’ll have this energy is when the next eight comes around again in 2028. NL: So, how can people get the most out of this year? Just be aware of it? Mr E: Yes, know that during this year, this energy exists and if you are aware of it, you can use it your advantage. NL: People will be able to accomplish things easier? Mr E: Yes, things will be accomplished because you’ll be more focused and committed to them. You’ll have more ability to stick to your plans or goals than you had before. NL: In this last year, I noticed a lot of interruptions and distractions and what I generally called “static” that made progress on our projects much more difficult. 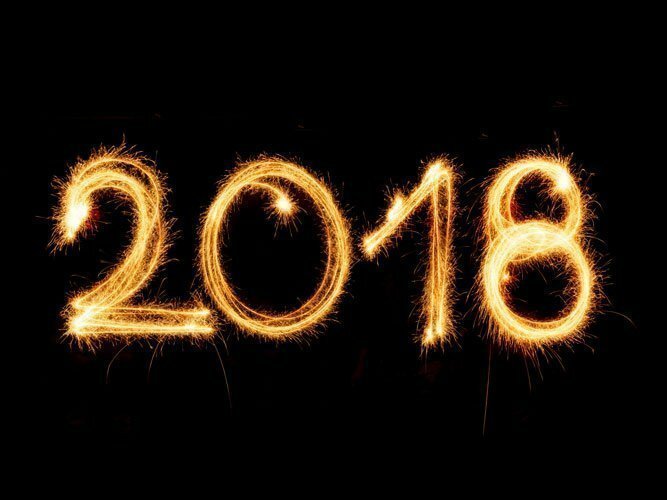 With the energy of 2018, will that go away or at least be diminished? Mr E: Yes, that static will be gone. You won’t notice it as much because you will be very committed to the things you want. You’ll be able to commit easily and you’ll be able to connect easier with your goals. NL: OK, anything else they need to know about that? Mr E: No, that’s about it, go out there this year, commit to things that are important to you, and have a great new year! I hope you make more progress on your book the next year! Making a book is hard work, and I would’ve been surprised if you met your 2017 goal. I am actually surprised you guys made it this far and are close to done. I guess it shows how committed you guys are. 🙂 I will buy your book as soon as it comes out no matter how late that may be, take your time, you can’t rush perfection. A Very Happy, peaceful, loving and prosperous New Year to both of you and your lovely families!! I know long time no see (I mean me). I was just busy being a wife, a daughter and a mommy that I tried to become since a long time. My beautiful son (touchwood) just turned 5 yrs old on 2017 November. Being a mommy keeps a lotttt busy!! Anyway hey Mr E nice to see so many developments here and I love to talk to you and Nat always!! 1) I have started meditation mostly to acquire mental peace and for my improved health. I read that initially when we start to meditate we need to focus on our breathing and breathing only. Also I wanted few tips from you and Nat regarding proper meditation process. Would you both please oblige me if you are able to sometime in future? Thank you so much!! 2) My second question is that when I was meditating for the first time (I put on Om chanting on repeat while I was meditating) I felt a strange sensation between my eyes. Why? I know it’s our 3rd eye but I was wondering how compared to my other chakras my 3rd eye got stimulated? 3) What happens when a persons 3rd eye opens? What are the supernatural abilities a person gains? 4) This one is highly unrelated question but would time travel be possible in future? I mean is Time travel possible? 5) I read a post by someone on FB who claimed the extraterrestrials/star people always uses portals to visit different places in galaxy (portals have numbers such as, 111, 222, 333, 444 and so on) and that on our moons dark side the advanced civilization star people has opened a portal too!! Another post mentioned that there are about 250 million people live on our moon in underground cities. What do you think of these claims? Thank you so much guys!! Nice reconnecting again. Will catch you guys soon!! Bye, take care!! Greetings Mr. E, JP, Natalie and Susan! Happiest of New Years to you all. I just discovered your website two weeks ago (given my obsession with the fae, I have no idea how I didn’t find you sooner) and I have a question about Line Magic. I feel like I have been doing this for a while. Are there any methods of protection you recommend for. warding off negative lines? A big prosperous year ahead. Nanveeta. A few years back I would have argued all that alien stuff as a bit fantastical but through all the disclosure lately I’m seeing a lot of truth in our galactic connections. Yes Rush you are right and do you remember that Mr E once talked about star people and how they create those radiation pollution?? Infact I would love to know if Mr E knew a little bit more about the human evolution if they have any in their elvish archives ? ?